iTunes Apple Music Converter is a powerful converter designed to convert any copy-protected M4P music files on your iTunes to unprotected MP3, AAC, or WAV formats on macOS 10.8 - 10.13 with ID tags preserved. 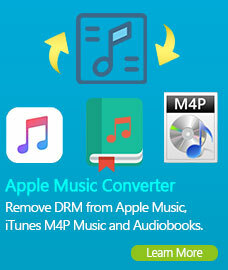 It is a DRM copy-protected audio and music conversion tool which can remove DRM from iTunes music files. It supports covnerting any audio and music files which could be played on iTunes with high quality. 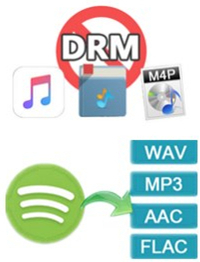 Mac M4P Converter can easily converts DRM protected iTunes music or audio files such as M4P, M4B, M4A files to plain MP3, AAC or WAV formats playable on any computers or mobile music devices such as iPod, iPhone, PSP, Zune, MP3 player, CD player, cellular phone - without any restrictions or DRM protection at high speed and with CD-quality. 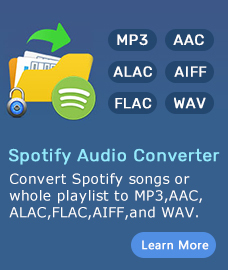 It is a powerful, yet simple conversion tool which convert audio files from many different file formats into mp3, wav or aac files such as M4P to MP3, M4P to WAV, M4B to MP3, M4A to MP3, M4B to WAV, M4A to WAV, wav to mp3, mp3 to wav and much more. Tune4Win M4P Converter is unlike any other recording software product. It is a virtual CD burner emulator which easily emulates the whole workflow for converting protected music or audio files to normal music files: ripping, burning, encoding are within only few minutes. With Tune4Win M4P Converter, you can remove music DRM protections and convert to the plain formats you need to create ringtones, add to a presentation, listen on your iPod, iPhone, Zune, PSP, MP3 player and much more. Virtual CD can emulate your computer RAM and hard disk as erasable CD-RW drive (Virtual CD-RW), it is at least 10 times faster than any other programs which use recording as one of the core converting tricks. And users may select several playlists or several audio files to convert as a batch. Its ability to convert DRM protected music files into regular MP3 files makes it a perfect solution for people who purchase their music online but have compatibility issues with their MP3 player.